Bits In Glass’ Appian AppMarket Accelerators are unique, pre-built applications that can be set up, customized and launched in a matter of weeks. 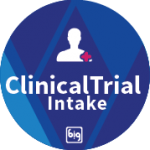 BIG’s Clinical Trial Intake (CTI) application is a complete framework that coordinates the various intake, regulatory, legal and feasibility considerations of a clinical trial into a simple tracking system. Built from the ground up with a modular design, the Clinical Trial Intake System is easily configurable and can be tailored to match any existing intake process with pre-built interactions for regulatory compliance, regulatory and operational checklists, legal negotiation, document management and room to add more. Read more about the CTI Application here. Today’s home health organizations are constantly challenged with effectively managing their daily operations while providing high-quality care. From scheduling complexities to limited visibility into appointment status, routing, and nurse safety, home health organizations need an easy-to-use system that provides operational oversight and control while keeping the focus on high-quality patient experiences. 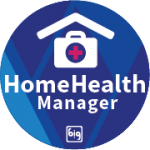 BIG’s Home Health Manager application provides real-time schedule management and home health visit management capabilities. The application is easily configurable and can be expanded to accommodate patient and care team scheduling along with any home health services provided to your patients. It provides the transparency and traceability necessary for supporting high-quality care for home health patients. Read more about the HomeHealth Manager Application here. The Manage My Care application by Bits in Glass leverages emerging norms around self-service that enhance user experience and enable better communication between patients and care providers. Read more about the Manage My Care Application here. BIG’s Move In Move Out system provides an easy-to-use application that provides operational oversight and control while keeping the focus on quickly and accurately completing onboarding and offboarding for tenants. Read more about the Move In Move Out Application here. 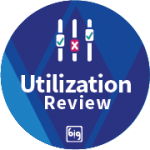 BIG’s Utilization Review application simplifies Healthcare Payers’ process for receiving referral requests from members and providers that are seeking authorization for medical services outside of the scope of what is provided by their Primary Care Provider. Read more about the Utilization Review Application here. The CMIS Explorer application by Bits in Glass allows you to connect your Appian environment to an external CMIS compatible repository. 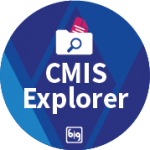 Read more about the CMIS Explorer Utility here. The Bits In Glass (BIG) DocuSign utility brings DocuSign’s industry-leading functionality into any application built on the Appian Platform. 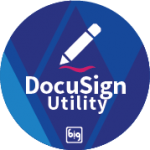 The utility provides a re-usable integration that speeds development time by giving Appian Designers plug and play functionality, enabling them to quickly and easily integrate DocuSign into applications. Read more about the DocuSign Utility here.